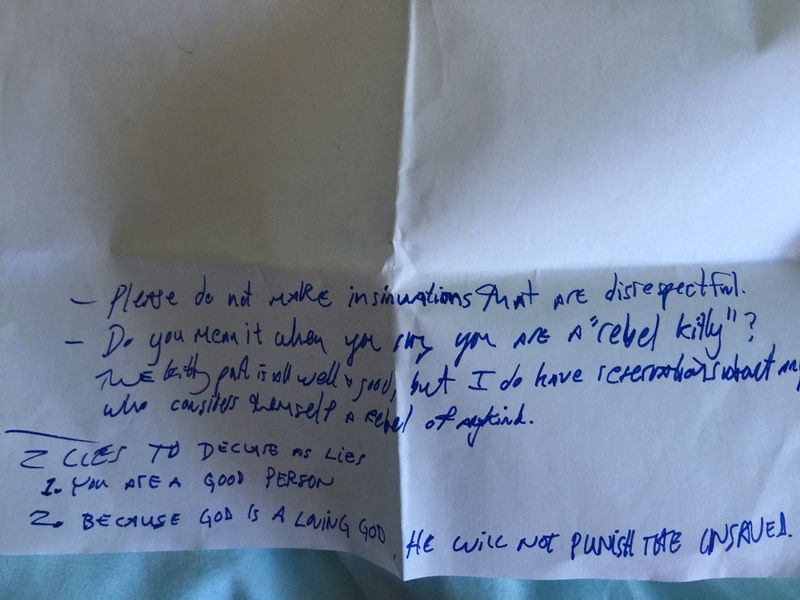 I found this little folded piece of paper in the zipper pocket of a purse at a garage sale. So curious…is this person angry?… trying to be helpful? Is it a lie that he/she is a good person… so many questions. I almost returned to the house where I purchased the purse to have my questions answered.. I guess I’m not a true rebel kitty after-all.